His nonprofit We Don’t Waste moved in November to an 11,500-square-foot warehouse at 5971 Broadway. Around 10,000 square feet will be used for food storage. 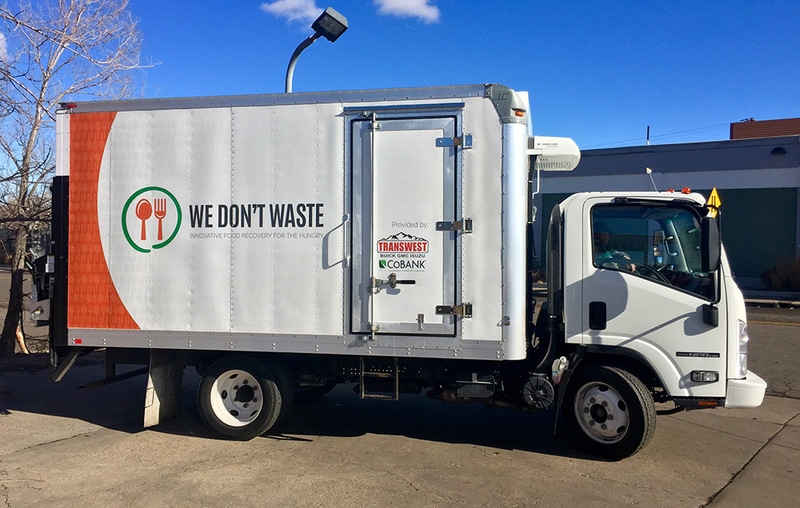 The organization takes unused food from local businesses and restaurants, like Rosenberg’s Bagels and Delicatessen and Etai’s Bakery Café, and distributes it to nonprofits working with low-income and homeless populations in Denver and the Front Range. Preblud said We Don’t Waste is raising donated funds to put refrigeration into the space and install racks to store palates of food that the nonprofit previously had to turn away. “In the past, if we picked up eight palates of produce – a palate can weigh between 1,300 and 4,000 pounds – we had to push that out the door theoretically. We had no place to put that,” he said. According to tax filings, We Don’t Waste brought in $9.5 million in revenue in 2015. The organization said the bulk of that figure reflects the cost of donated food, and that it receives most of its cash revenue from grants and contributions, which totaled about $588,000 in 2015. It also works with sporting centers like Sports Authority Field at Mile High to distribute unused food after games. Preblud said there are 140 suites at Sports Authority Field and that for every Broncos game the nonprofit can get between 4,000 and 5,000 servings of food. Preblud, previously a lawyer, founded We Don’t Waste in 2009. In the past, he said, the organization didn’t have room to store food in its offices on Walnut Street in RiNo. Instead, any food they had was immediately loaded onto one of the three trucks to be delivered to one of the 75 agencies feeding people in Colorado. More space also means We Don’t Waste doesn’t have to turn away volunteers. The new digs on Broadway could staff between 350 and 400 volunteers. “Now we’re covering all of our bases, much more effectively and efficiently,” Preblud said. Preblud said he wants to eventually open a farmer’s market where people can come and get produce from We Don’t Waste. He said most food pantries have restrictions on how many times people can get food per month, and restrict users to specific zip codes. The need for food pantries in Denver is increasing, as several closed in 2017. And a December article from the New York Times estimated that one-third of the food grown in the U.S. goes into a landfill.